Tucked away on a park-like 1.06 acres in Rainier, this move-in ready rambler shows off magazine-worthy style and top-notch amenities at every turn! Boasting an expansive 2,204-square-foot layout that includes 3 bedrooms, 2 baths, light-filled living spaces designed with entertaining in mind, and much more, this residence promises easy living. Plus, new carpet and fresh paint on both the interior and exterior ensure this turn-key treasure is ready for the future! Those who love spending time outdoors are also sure to love the fully fenced backyard oasis, complete with a deck, garden beds, and ample space for you to have your own outdoor dreams become a reality. 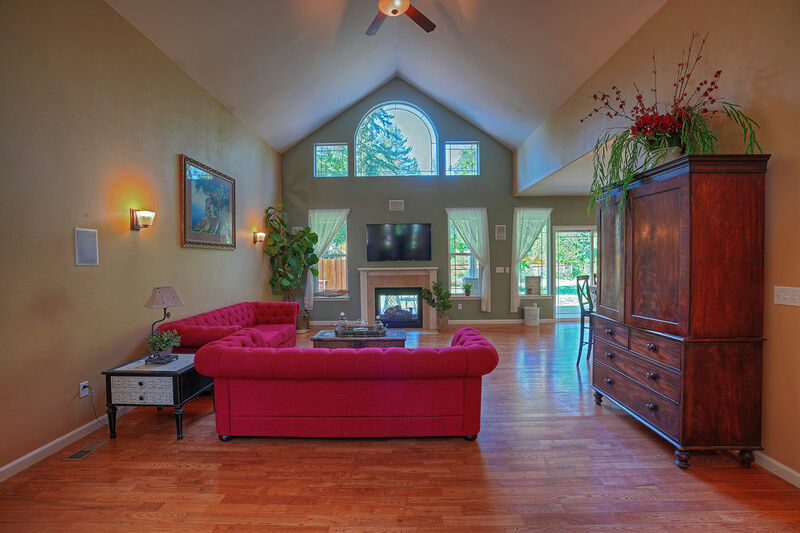 Located at 707 Grove Lane Rainier WA 98576 and offering an easy commute to JBLM, this 2007-built masterpiece is listed for $435,000. 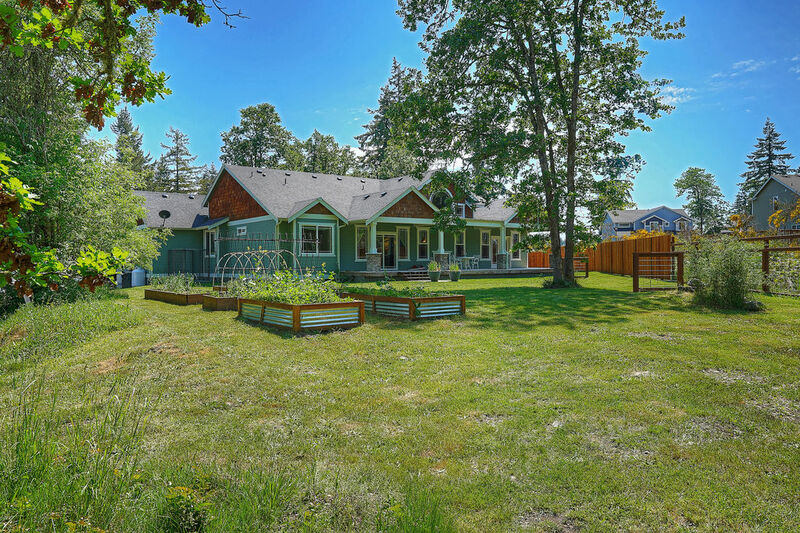 When the current owners were searching for a place to live, they knew they “wanted somewhere safe, neighborhood-wise,” as well as “something open and a good place to entertain.” They were lucky enough to find exactly what they were looking for with this Rainier residence! 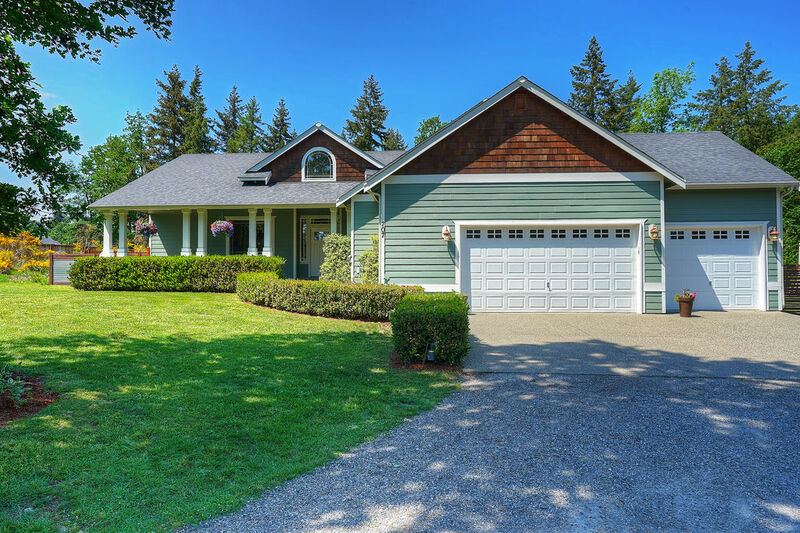 Lush greenery that includes a neat lawn, established landscaping, and tall trees in the background show off the Pacific Northwest’s stunning beauty from the moment you arrive home. A classic Craftsman-inspired exterior delights the eye, and crisp trim and stately columns elevate this home’s timeless design. A charming front porch greets visitors, and once you step inside, this home’s open and inviting atmosphere beckon! Vaulted ceilings and ample natural light contribute to the open feel, and shimmering hardwood floors seamlessly connect each space. “The ceilings are so tall the windows let in so much light even on gray days!” they shared. Wonderfully versatile, this haven is a joy to spend time in, whether you’re enjoying a laid-back movie night snuggled up on the couch or hosting guests for a glass of wine after dinner while the fire dances in the background! The open concept space flows right into the kitchen and dining nook, a thoughtfully designed space that’s brimming with a dynamic blend of fashion and function. A bright, fresh color palette with beautifully accented white cabinetry contribute to the cheerful feel, while tile counters and stainless steel appliances are ready for whipping up homemade meals. Take advantage of bar-style counter seating, the sunny dining nook, and the thoroughly sophisticated separate formal dining room replete with elegant wainscoting! 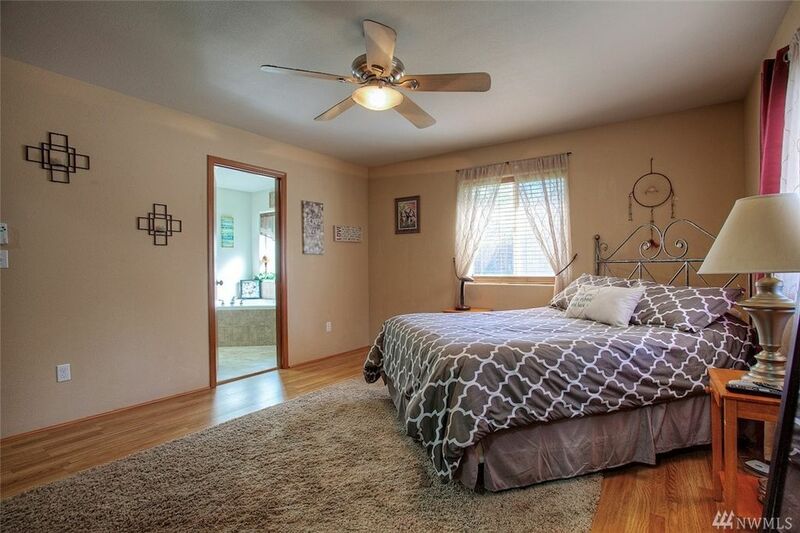 This home’s generous layout also includes an indulgent master suite, a tranquil retreat with vaulted ceilings, a huge walk-in closet, and a spa-inspired 5-piece bath. The 2 additional bedrooms offer versatility, and each bedroom shows off thoughtful details, like built-in drawers at the base of each large window. 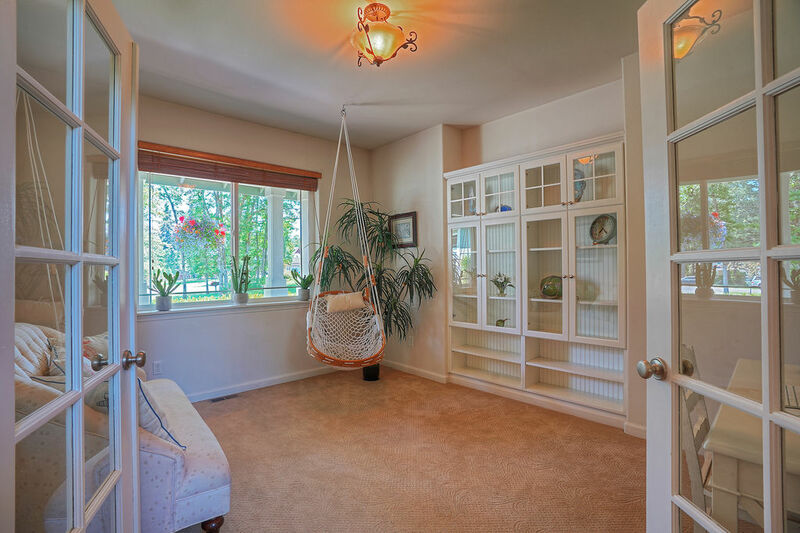 Find even more flexible space in this home’s front office, a calm haven with incredible built-ins that are perfect for showing off your library, framed photos, and special keepsakes. The current owners have especially cherished the outdoor setting, and they’ve loved that the “backyard is private and big enough for gardening, having chickens, etc.” A sprawling covered back deck is ready for entertaining rain or shine, and you’ll find ample room for an outdoor dining set, comfy lounge chairs, and a barbecue. The lush lawn stretches on into the distance, and neat garden beds are in the mix—if you’ve always dreamed of cultivating your own fresh fruits and veggies, you’re in luck! You’ll also find convenient RV parking and a large garage that’s perfect for keeping all of your outdoor tools and toys out of the elements. In addition to the close-knit community, you’re conveniently just about a 2-minute drive to Highway 507, and a long list of Rainier amenities are just down the street. From eateries like Main Street Cookie Company, Rainier Espresso & Pizza, and Sonja’s Cafe to schools, the library, and other services, it’s all within less than a mile of home! Those who work at Joint Base Lewis-McChord will also appreciate an easy commute from this location. Discover easy living and gorgeous scenery in this darling turn-key rambler! Nestled in the middle of Rainier’s Trotter Downs Estates, this 2009-built beauty offers privacy while still being close to schools and the amenities in town. Showcasing a spacious 1,702-square-foot layout, this home includes 3 bedrooms, 2 baths, a welcoming open-concept great room, and much more! 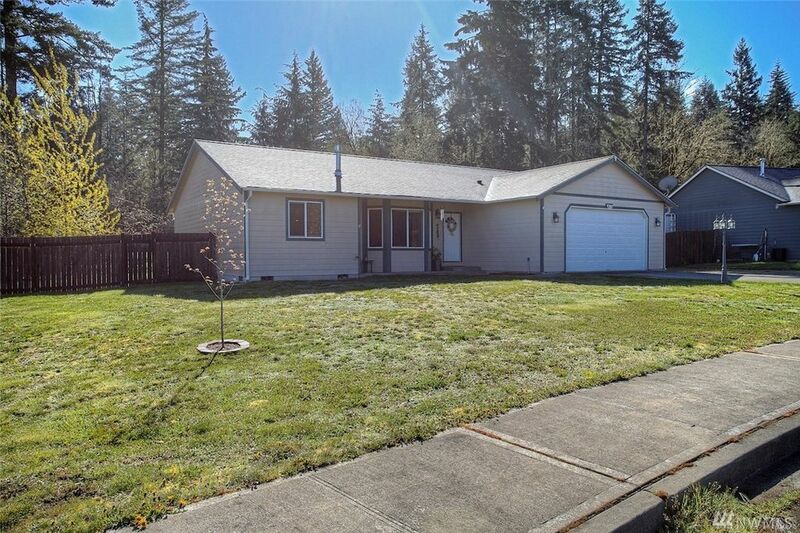 Located at 817 Cody St SE Rainier, WA 98576 just 30 minutes from Joint Base Lewis-McChord, this residence is listed for $249,000. Framed by tall emerald trees in the background, this 0.29-acre property conveniently backs up to a green belt. 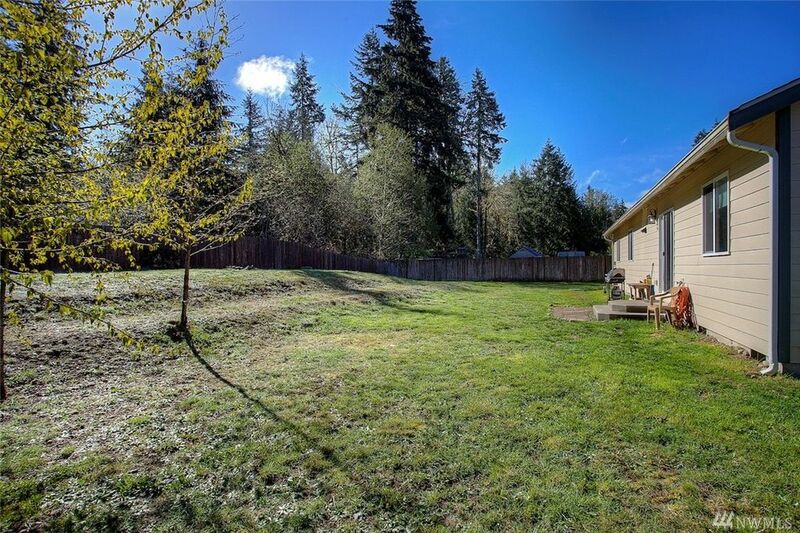 A huge, fully fenced backyard provides privacy and is absolutely brimming with potential! Not only does this home’s setting show off a peaceful atmosphere perfect for relaxing in, but it also has plenty of space to transform into the ultimate outdoor oasis. Consider adding in a patio for barbecue hangouts, a play toy, or even raised beds for a vegetable garden. Plus, a 2-car garage with shelving provides a handy spot to store all of those outdoor tools and toys in! 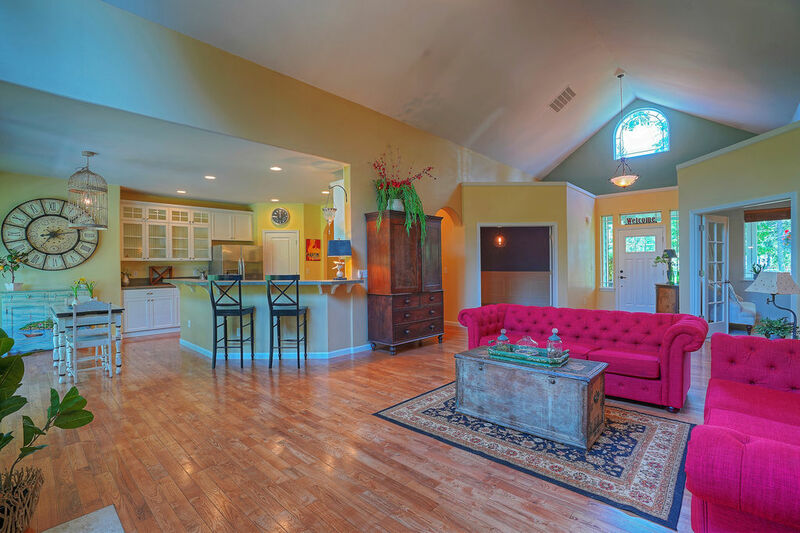 Just inside, this wonderfully move-in ready home shows off a comfortable and inviting atmosphere. 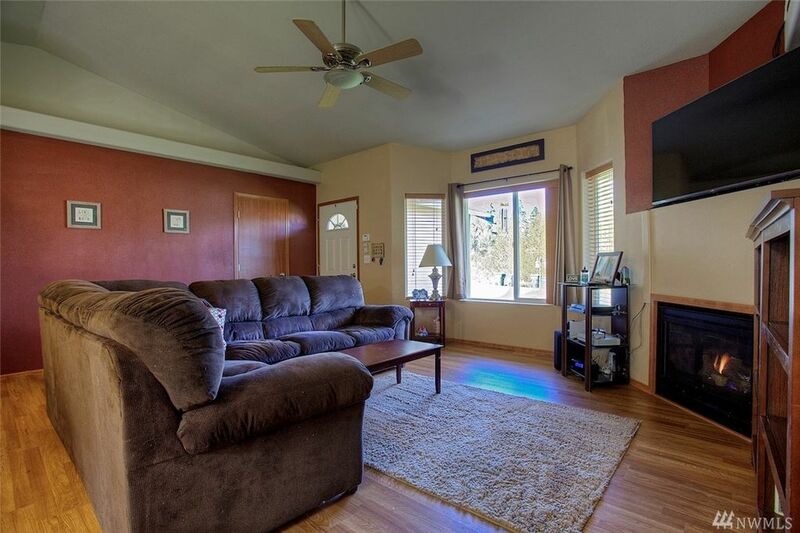 As soon as you step in through the front door, newer hardwood-inspired laminate flooring, vaulted ceilings, and large windows that fill the space with natural light welcome you in. The living room shows off warm accent walls, and a fireplace is just waiting to be enjoyed on a chilly night relaxing with loved ones! This spacious open-concept living area effortlessly flows into the kitchen and dining area, a dynamic space boasting stylish finishes alongside smart design. In the kitchen, find sleek stainless steel appliances, a separate pantry, convenient bar-style seating, and the adjacent dining nook. Whether you’re hosting guests for dinner or just enjoying a glass of wine with a friend, this attractive space offers elegant style and efficiency at every turn! 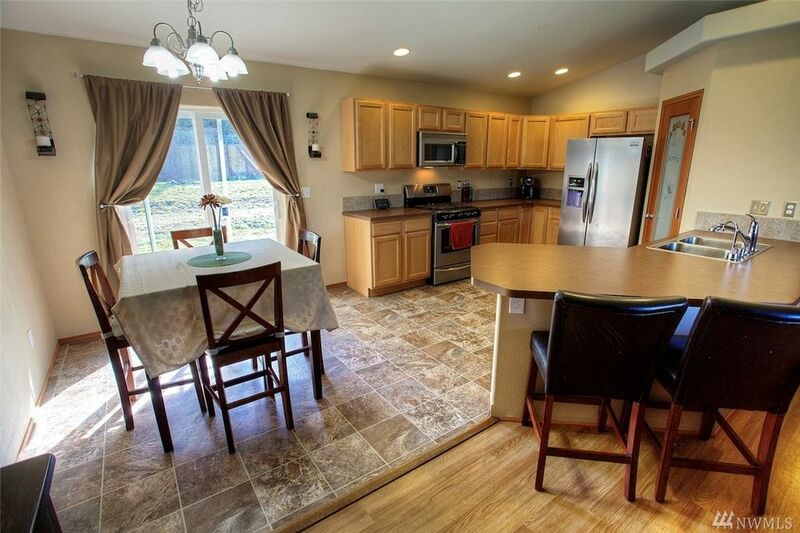 With 3 bedrooms and 2 baths, this home provides versatility and plenty of space for loved ones to call their own. The master suite is especially noteworthy—this private retreat is filled with top-notch amenities to take advantage of. Discover 2 walk-in closets and a spa-ready ensuite bath complete with a garden tub that’s ready for luxurious bubble baths. Located in Thurston County and just 30 minutes south of JBLM, Rainier is a small town that was first settled all the way back in 1890. Today, residents love the opportunity to be close to nature while still having amenities like schools, shops, parks, and a few restaurants as well. At 817 Cody St SE Rainier, WA 98576 it’s just a quick 3-minute drive into the town center, making it easy to get to local eateries (like Rainier Espresso, Sonja’s Cafe, Michael’s Pizza Parlour, and more), the local schools, and other services. Commuters will appreciate being a 23-minute drive to Lacey and a 31-minute drive to Olympia. Interested in learning more about this listing? Contact REALTOR® Linda Solheim-Diehl online here or give her a call/text at (253) 279-7665, or contact REALTOR® Erin Dobrinski online here or give her a call/text at (253) 380-7702.